Olivia Weir - Redstone Agency Inc.
Olivia is a client- focused and passionate events manager who brings her dedication and attention to detail to each event she produces. Through her work with a variety of different types of organizations, including large corporations, charities and not-for-profit organizations, Olivia has developed a sound understanding of both the bigger picture and the fine details required to make each event a success. Her commitment to exceeding her clients’ needs allows her to execute events beyond their vision. By focusing on the client experience and investment, Olivia ensures that each event produces a successful ROI, whether through an increase to their bottom line or through attendee engagement, relationship development and retention. Prior to joining Redstone Agency, Olivia was employed at a third party event management company where she specialized in conferences, incentives and charitable events for corporate clients. 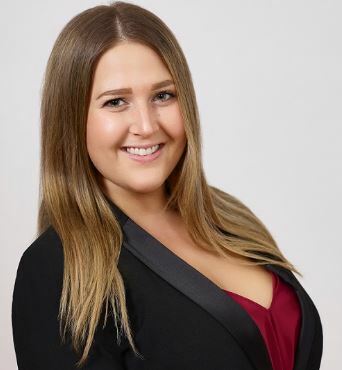 In addition to Olivia’s previous experience within the events industry, she held a position as an administrative and executive assistant at one of Canada’s leading financial institutions. Olivia’s administrative and organizational skills, combined with her passion, focus and performance, make her an invaluable asset to the Redstone team. Olivia was recognized as a 2018 recipient of the Top 40 Under 40 from Connect Association. This honour highlights the top young professionals working within the events industry. Check out the article here.